Coming soon at the Mayfair Theatre, Ottawa Horror will be presenting Abbott and Costello Meet Frankenstein March 15th and 17th at 1:00 p.m. Perfect matinee for kids and big-kids alike. More on that soon. I missed The Suicide Shop that ran all week, so if anyone did make it out please drop us a line in the comments. Tonight! La Danse Macabre, Ottawa Goth's monthly gothic culture night will be held once again at Daily Grind. Like spooky tunes? We sure do. 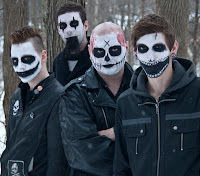 Between La Danse Macabre, Death Disco, and Industrial Strength Ottawa darklings don't go begging. This year, the scene goes super-nova with the unveiling of plans to host OIL (Ottawa Industrial League) - a two-day event to showcase the bands, community and genre. Like darker tunes...? Recently, Patron Saint of Plagues dropped some fangtastic news. Looks like they will be heading to Ohio to record a new EP. 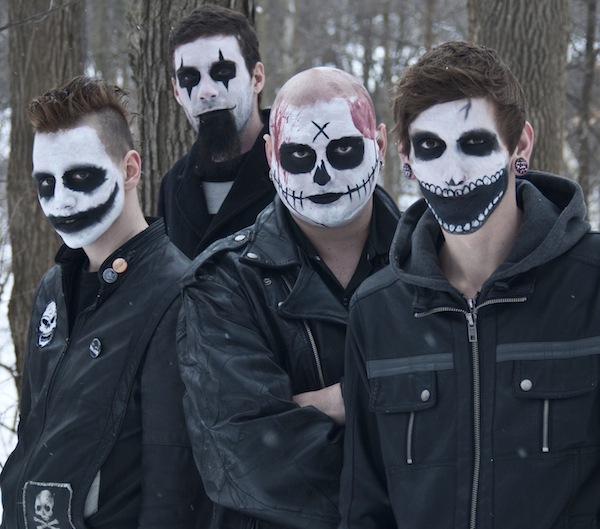 A follow-up to Scary Tales, the timing couldn't be better since the band just hit 3000 likes on Facebook. Who let the bats out!? Congratulations, guys! If you want a signed copy of this release check out their indiegogo campaign to assist with production costs. Also, at the risk of promoting myself beyond shame, my short horror story 'Bad Shepherd' was read last Wednesday on The Wicked Library. Hosted by author Nelson W. Pyles, he made an amazing production of this demonic little tale. It will make your skin crawl, or so I have been told. 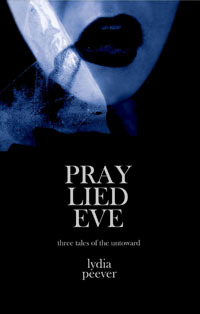 You can buy this one as part of my just released three-story horror collection Pray Lied Eve. Soon, we will have news on Can-Con and the Aurora Awards, and Postscripts to Darkness III launch parties. 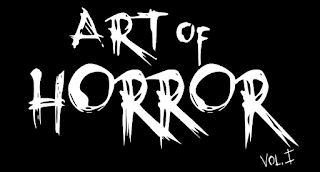 Among other horror happenings, a new profile with local author Mandy DeGeit is in the works.